PacLights Extreme500 LEDs replace high wattage incandescents, HIDs and CFLs. 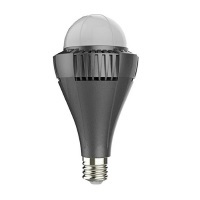 These energy efficient LEDs can be used in a variety of applications including street lighting, warehouse lighting, gymnasium lighting, public area lighting and operate for 50,000 hours. The PacLights Extreme500 saves over 60% of energy comes with a 5 year warranty.